Today we are excited to be bringing y'all the first of a new series we're rolling out called #SBS, otherwise known as Small Business Saturday. Each week, we will be showcasing a new local business we think is worth sharing. Shopping local is important to us, so if you own a local business and would like to be featured, please reach out to us! We would love to learn more about you and your business. That being said, our first #SBS features a new Dallas-based boutique. Lemon Bee Boutique started as merely a dream. After a little nudge in the right direction, the shop came to life in a matter of months. 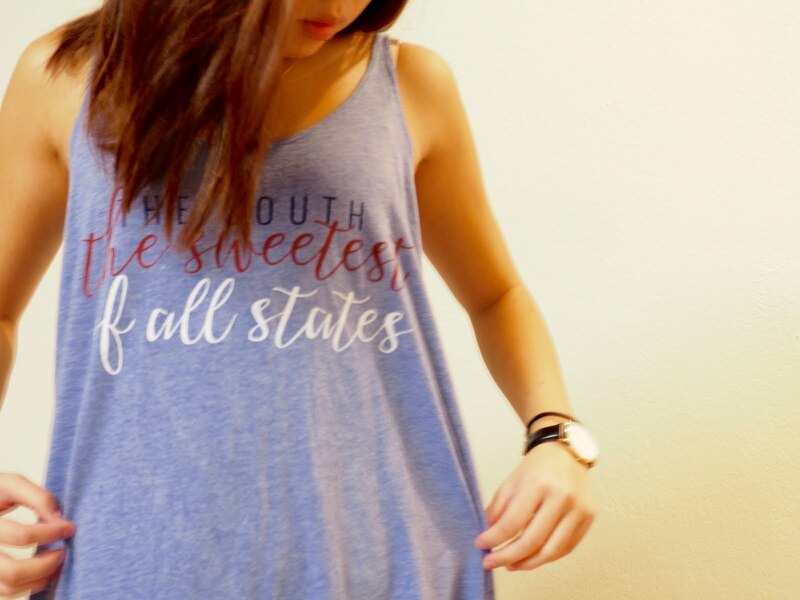 This online boutique offers classic, retro, and boho-chic styled clothing and accessories, but no matter what your unique style is, Lemon Bee has a little something for everyone. The CEO and senior buyer aims to deliver only the best pieces from a few select vendors, which is what makes Lemon Bee so special. Forget about shopping at the big-named stores, shop small and shop Lemon Bee Boutique! They also carry the cutest Texas themed tees and tanks as pictured above.